‘The Brain – is wider than the Sky -,’ wrote Emily Dickinson revealing our capacity to expand our mind beyond experience to imagination. Acclaimed American novelist and essayist Marilynne Robinson recently recapped this magical opening of the mind that comes with reading when she wrote an article describing what it’s like for an author trying to find the right word. I was reminded of this image again when delving into a new collection of short stories from Australian writer and academic Catherine Cole. In diverse and joyful ways Robinson and Cole remind me of what I love about reading (and writing), of what I learn from books through that open invitation to go beyond a closed door, to find my way around the darkness and relish the light that shines through even the saddest of stories. In this impressive collection of short stories, Cole finds those exacting words to reveal glimpses of life that fill you with love and compassion and leave you yearning to know more. It’s easy to see why her story ‘LOVE’ was chosen as part of the narrative for the Yes campaign for marriage equality. Anyone who reads this, who really listens as mother and son share the moment of disclosure, who feels the lump in the throat when she says ‘Mothers do know these things’ will understand the message for affirmation on marriage equality much more than from some of the distressing ignorance and bigotry flooding the media. Cole, in writing that is both poetic and purposeful, selective, and at times, sparse, expands our minds and encourages the reader to look more closely at the detail and the ordinary lives of ‘others’. While some characters and places are more familiar each possess their own authenticity and truth. While many, on the surface, appear lonely and even suffocated by their longing, they are also, at times, comforting in their intimacy. There’s Dorrie on the ferry to Manly dreaming of her childhood, Ruth on her daily trek to the shopping mall and pet shop, Bert on his way to Villawood with gifts for the detainees and Willem preparing for work when all around him are partying. Often Cole’s characters feel like family or friends we know well, struggling to find their place. A recurrent theme of movement towards understanding prevails as we learn more about the many connotations of ‘home’ and what having a home means. At times the memory of childhood or first love is evoked so provocatively that you can find yourself believing you might know ‘Little Kerrie’ or, in ‘Plenty’ you might find yourself wanting to slap James for his smugness and lack of compassion. In other stories Cole gives prominence to the environment and the external stimuli take over our senses as we hear the call of the furious ocean, taste the scratchy red dirt in the hot wind and feel the cracks in the ground of the outback ‘excoriated, open to whatever memories you might want to plant’ in ‘Steers’. The stories of this collection resonate so well because of what Robinson calls ‘that movement towards essentials’, the removal of the extraneous to explore themes around love and pleasure in ‘The Navigator’ and loss and pain in ‘Hell Comes, Hell Goes’. While enjoying the collection, I’m struck by that contradictory feeling of wanting to rush through the book and the stories, devouring each page in the way I might with a Raymond Carver or Alice Munro collection while also wanting to savour them and make my enjoyment of everyday escapism last longer. 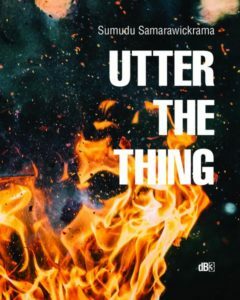 And it can be a hard to know where to begin because short stories, unlike a novel, offer the capacity to move in and out of the organisation at your pleasure. Should I read them in order, from the beginning, or dip in and out choosing on title or length? 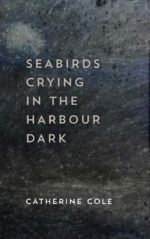 Cole shows how to embrace and relish the short story, a sometimes-overlooked literary genre, while Seabirds Crying in the Harbour Dark would make an ideal study for teachers in how a collection of short stories can offer a sense of connectedness with its provocative themes and repeat characters, not unlike Tim Winton’s Minimum of Two. CAROLINE VAN DE POL is the author of Back to Broady (Ventura Press/Peter Bishop Books); her first memoir. She is a writer and university lecturer in media and communication. She has a PhD in creative writing from the University of Wollongong and her articles and creative work have appeared in journals including Text and New Writing. Caroline has worked as a journalist and editor for newspapers and magazines including Melbourne’s Herald Sun. She has published two nonfiction health books on pregnancy and parenting. Caroline grew up in Melbourne, Australia, and she now lives in regional Victoria.